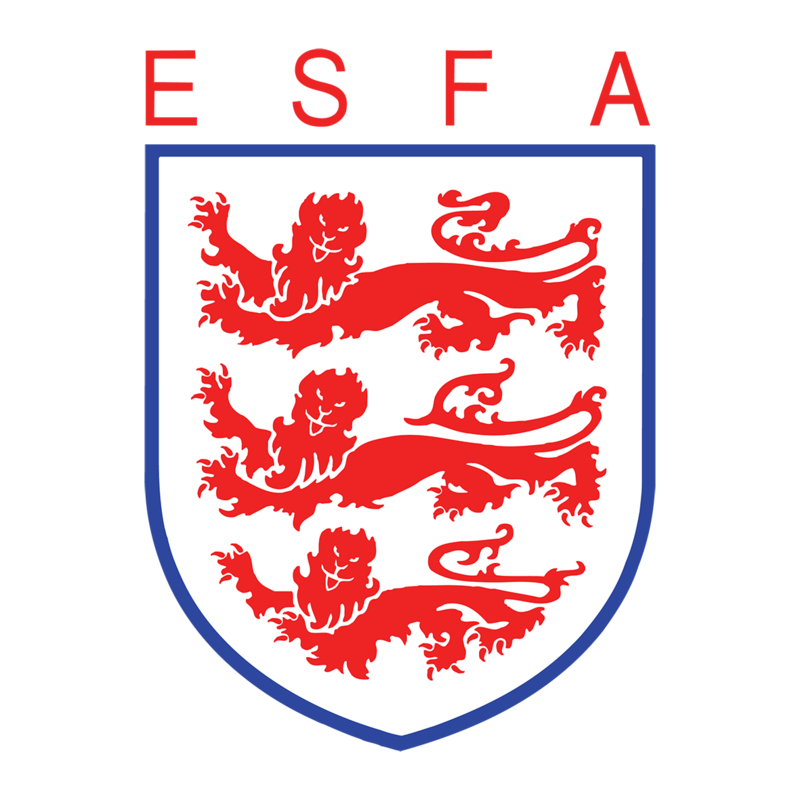 On Wednesday 27 March the ESFA headed to AFC Fylde’s Mill Farm to feature the two Girls’ U18 National Finals, which showcased some of the best female footballing talents from around the country. After five previous rounds and over 60 exhilarating cup matches, the finalists were confirmed as South East Essex’s SEEVIC College and South Tyneside’s Tyne Coast College. With just the National Final remaining, the two teams battled it out to become National Champions! Just like the earlier 12pm kick off (Thomas Telford V Barking Abbey) the opening exchange was a midfield battle with Tyne Coast edging on the possession. Moving into the second quarter of the game, Tyne Coast were knocking on the SEEVIC door and all the pressure paid off, thanks to two Barker (9) goals in the space of three minutes. Both of Barkers’ goals came from good crosses into the box, the first of which whipped in by Brogden (8) and with Barker positioned goal side of the SEEVIC defender she only needed one touch to set and the another to finish (34th minute). Just three minutes later, Tyne Coast’s Barker showed everyone her goal scoring instincts when she anticipated that the defender would miss the clearing header and this time she only needed one touch, as she found the net for secod time from 6 yard line (37th minutes). The teams went in to the half time interval with the score at SEEVIC College 0 – 2 Tyne Coast College. After the break the Tyne Coast girls showed no signs of letting up, Soulsby (7) continued the goals following a brilliant drive and smash across goal to the opposite corner making it three-nil. SEEVIC’s captain Turner (9) managed to lessen the goal deficit with a tremendous bit of individual skill when she plucked the ball out of the sky then, flicking it over the onrushing defender, fired it low into the bottom corner from 25 yards out (53rd minute). The SEEVIC comeback was short lived though as Barker completed her hat-trick on the 58th minute when the ball dropped to her after Farrel (4) did well keeping the ball alive from an in-swinging corner. Tyne Coast’s Farrel found then herself on the scoresheet after she accurately placed a free-kick in the SEEVIC top corner for five. Nelson (3) added her name to the list of Tyne Coast goal scorers after finding some space in the box and cooly finishing for the sixth. Rather fittingly it was the Tyne Coast captain and the Player of the Match, Barker who picked up her forth and final goal of the game. Throughout the day she had positioned herself in the right place at the right time and it was the same story with her forth, giving a smart first time finish of 7. The final score at Mill Farm finished SEEVIC College 1 – 7 Tyne Coast College. Congratulations to Tyne Coast College on earning the title of 2018/19 ESFA U18 Colleges’ Cup for Girls National Champions!